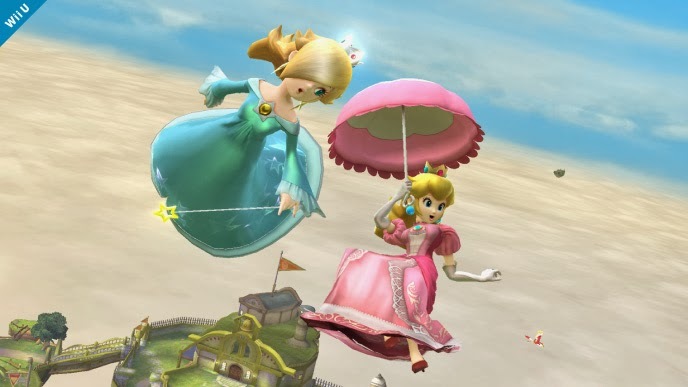 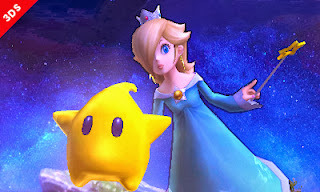 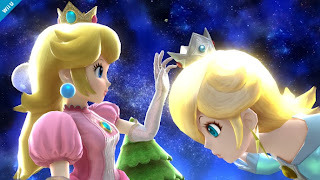 Announced on Nintendo Direct 12.18.13,Rosalina and Luma joined the battle as newcomers to the Super Smash Bros. series. 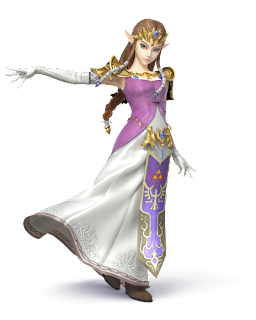 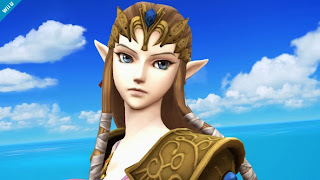 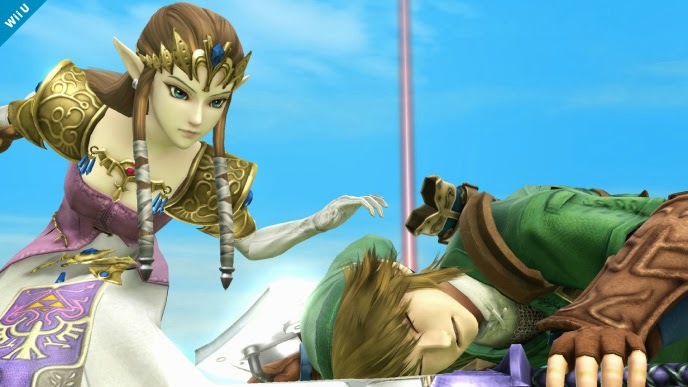 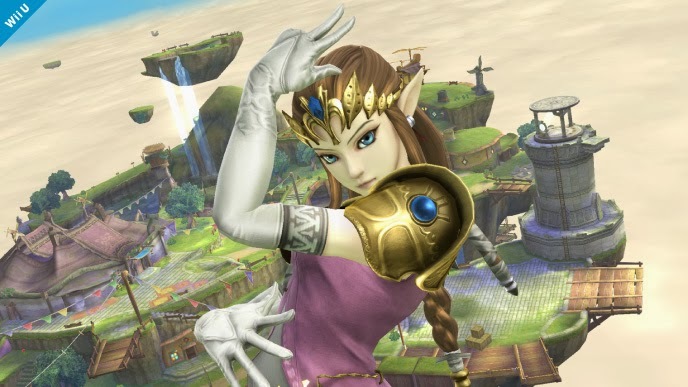 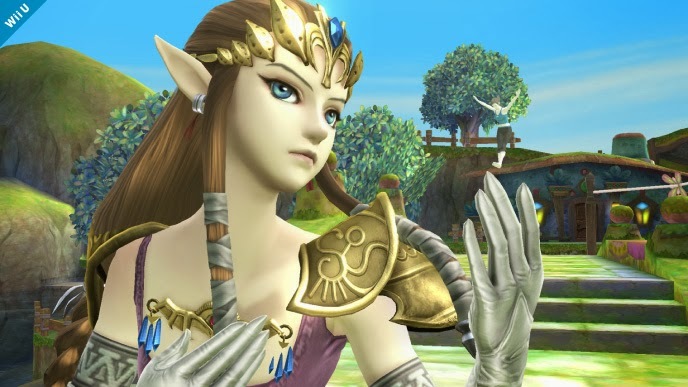 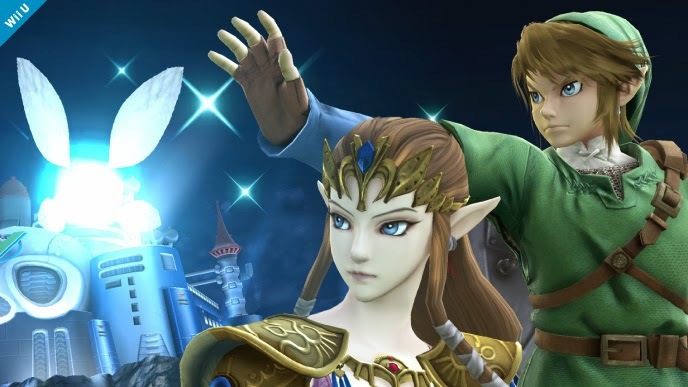 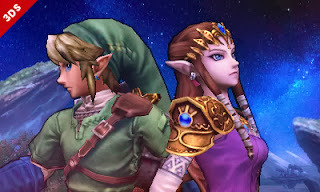 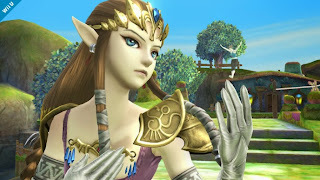 Zelda was announced on the Super Smash Bros. Wii U and 3DS website this week. This is a full image of the Battlefield stage on Super Smash Bros. Wii U. 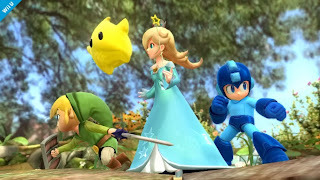 In this image, it shows Pikachu, Luma, and Starfy. In Super Smash Bros. 3DS and Wii U, Starfy is an assist trophy to help you in battle. 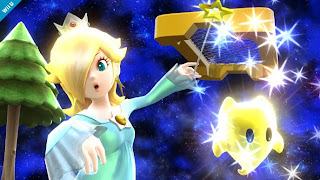 Starfy, taken from Super Smash Bros. Brawl, can do a spin attack similar to Toon Link's. 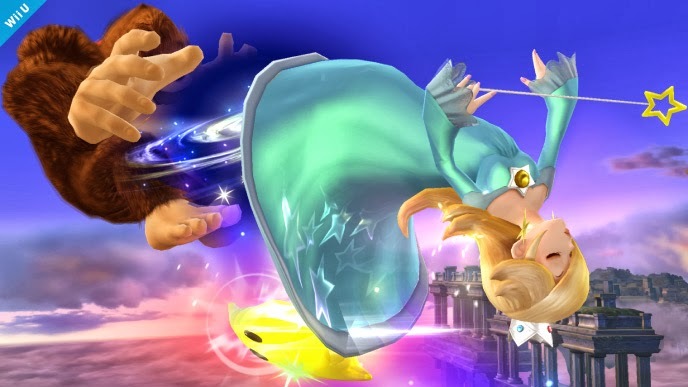 According to Super Smash Bros. Brawl, Starfy's spin attack doesn't do a lot of damage. 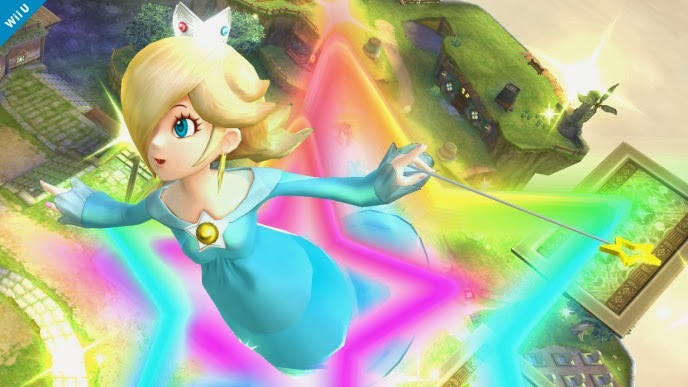 This is a full picture of the Rainbow Road stage from Super Smash Bros. 3DS taken from Mario Kart 7's rainbow road design. 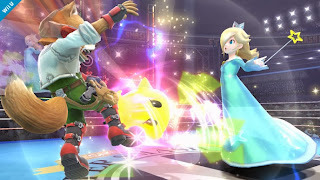 In this photo, it shows Rosalina and Luma battling full-suit Samus, both doing various attacks. 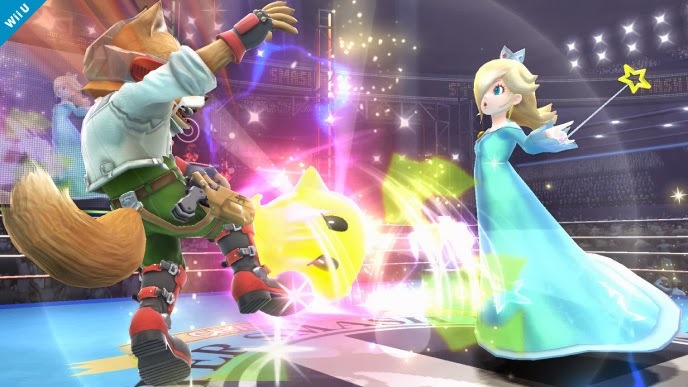 Sakurai explained this new stage cannot be shown in one picture, do to the stage being a moving platform stage, like the course that looks like it could be a Super Mario 3D Land stage that was shown in the trailer. As seen in this picture, Rosalina is slightly taller than Mario and Peach by comparison. Although she might be taller, Rosalina has an anti-gravity effect that makes her taller, as explained in Sakurai's Miiverse post. 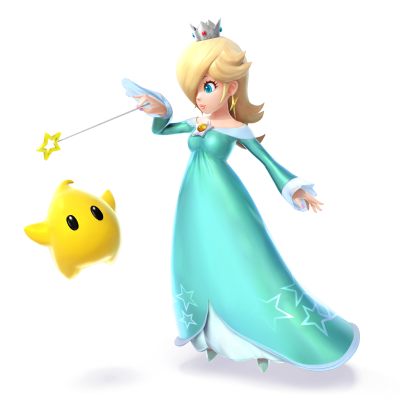 Note Luma is not with Rosalina in this picture. This picture shows a Luma flying away from the battlefeild. 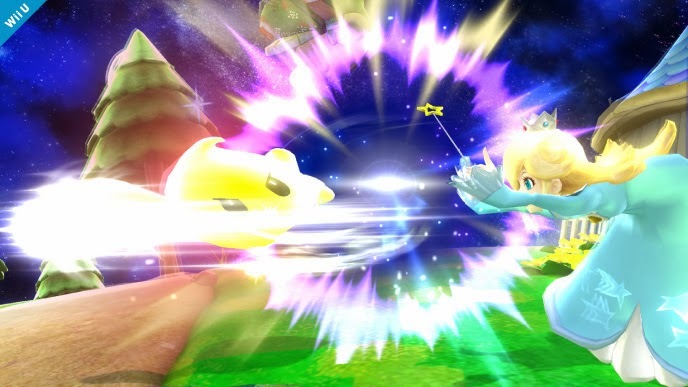 As Lumas are tough, Sakurai explained, they can get knocked out easily. Note Rosalina is not with Luma in this picture. 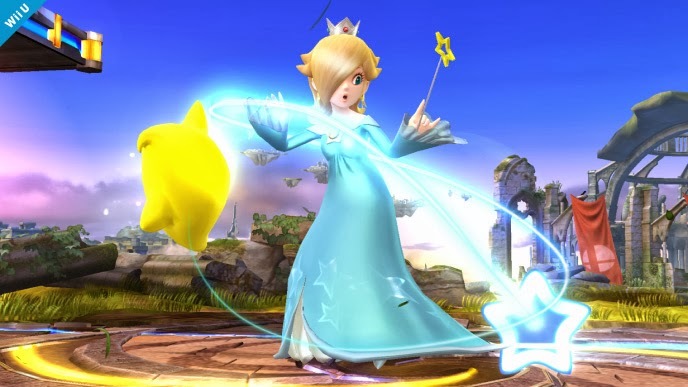 Sakurai explained Rosalina and Luma can be ordered to be far apart or close together although both are still controlled by the player. 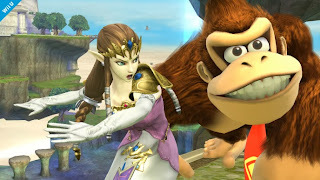 This picture shows Luma attacking Mario while being controlled by Rosalina. 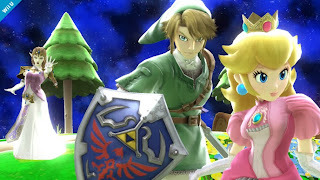 What other characters might be added? 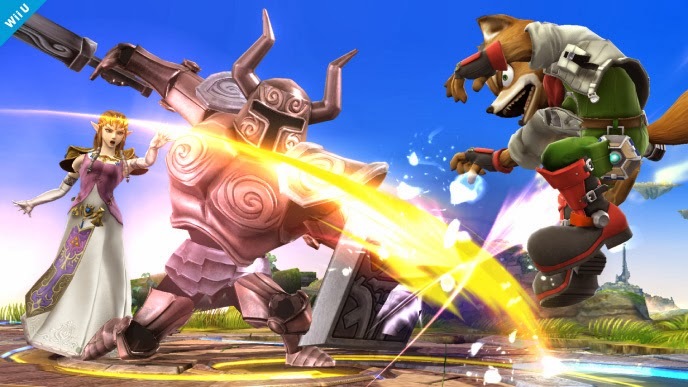 What do you want to see in the new Super Smash Bros.?